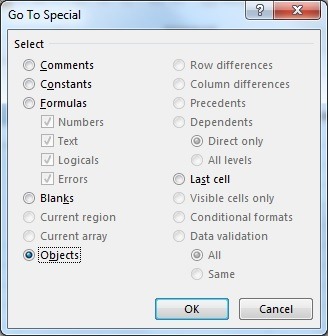 We can remove or delete checkbox on the worksheet or userform using ‘Go To Special’ or ‘Select Objects’ or by turning on Design Mode in Developer tab. when we don’t want to place checkbox control on the worksheet or userform we removes from there. Please find the more details and screenshots for clear understanding about remove checkbox control in the following chapter. 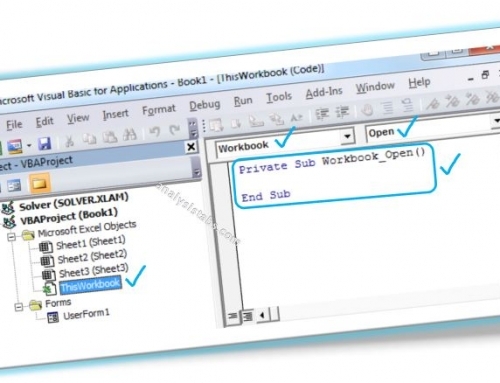 Please find the below example code, it will show you how to remove a checkbox on the worksheet using Go To Special from Editing. Go To Special command is used to sleet many types of control, one of those is objects. Please follow the below instructions to remove checkbox. Go To Home tab, click Find & Select (Editing). Now the following dialog box will be appeared. It is shown in the following screenshot. Choose the Objects option from the Go To Select command. And then click OK button. All of the check boxes have been selected. 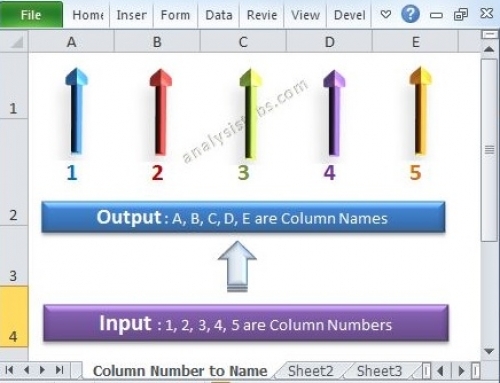 (If Worksheet contains any other objects, it will delete other objects als). Press the Delete key to delete check boxes on the keyboard. 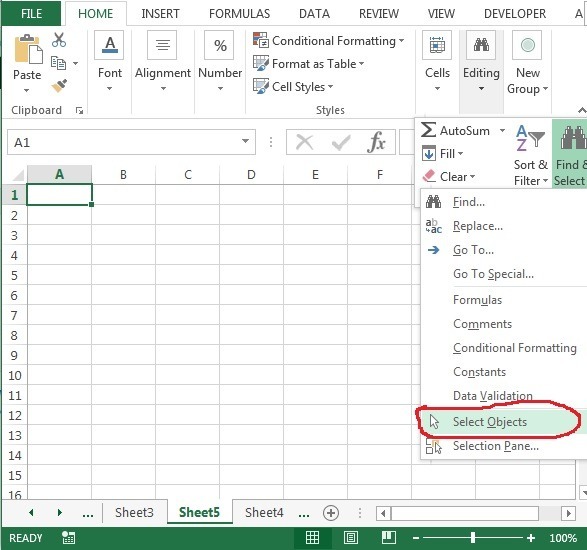 Please find the below example code, it will show you how to remove a checkbox on the worksheet using Select Objects from Editing. Go To Home tab, click Find & Select (Editing), click Select Objects. 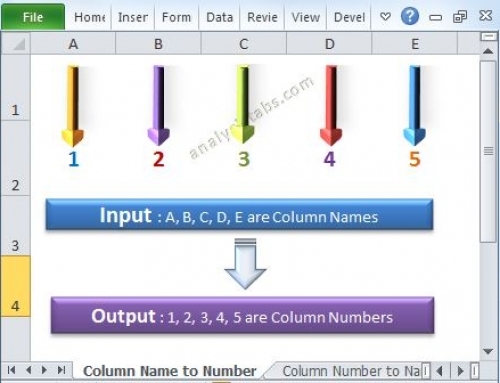 It is shown in the following screenshot. Now, select the checkbox objects which you wanted to delete. 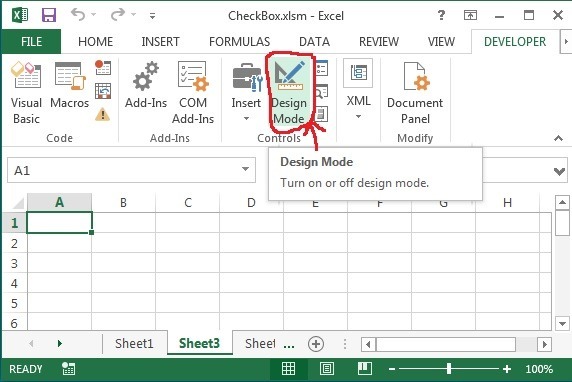 Please find the below example code, it will show you how to remove a checkbox on the worksheet using Design Mode from Controls. Go To Developer tab, Click Design Mode(It Should be On). 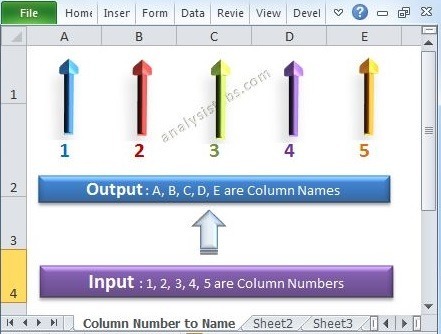 It is shown in the following screenshot. 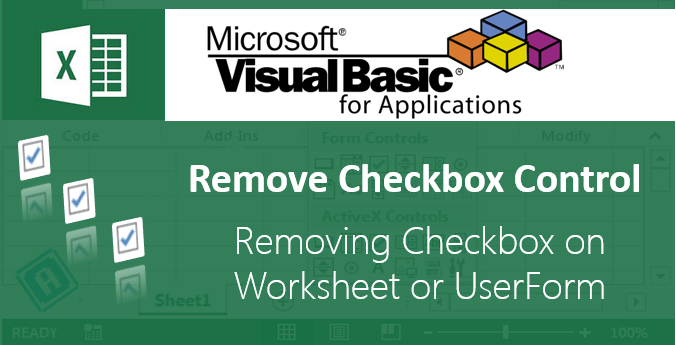 Here is the VBA code to remove all Checkbox controls (Worksheet Form Controls) in active sheet. And below is the VBA Macro to remove all OLE Checkbox controls in active sheet. Here is the link more about how to add checkbox control on the Worksheet or UserForm in Excel. 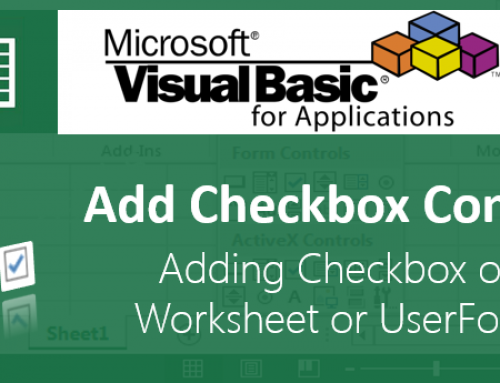 Here is the one more link to more about how to add checkbox control on the Worksheet or UserForm using VBA in Excel. Wow – very clear, THANK YOU! If you have a sheet with pictures and checkboxes, these instructions will delete both the checkboxes and photos. What if you want to keep the photos. Hi, We have added a VBA code to remove only checkboxes and keep the photos and other objects as it is.